It’s a holiday TV special based on Charles M. Schultz’s comic strip “Peanuts.” It appeared on prime time television, beginning in 1965. Charlie was always getting beaten by his schoolmate Lucy, and outsmarted by his dog Snoopy. He is the underdog, and a defender of the underdog, at the same time. 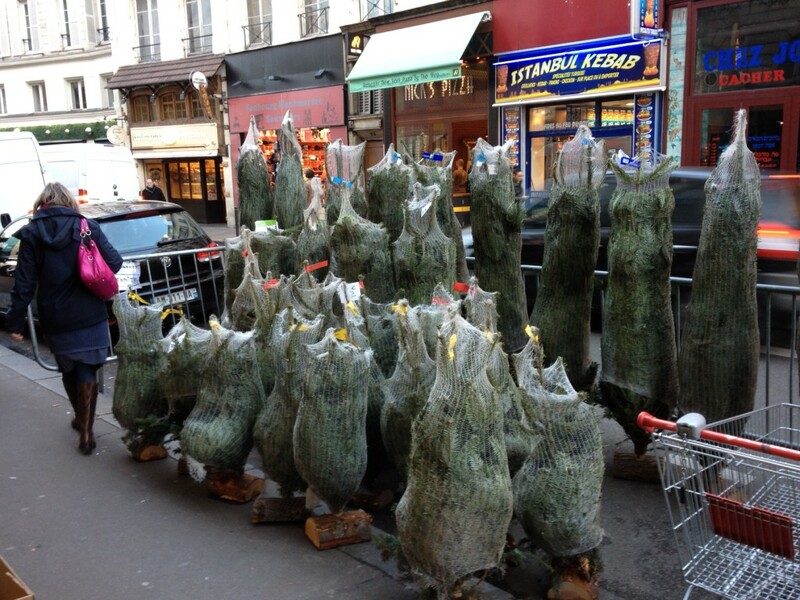 The little trees you see for sale around Paris remind me of Charlie Brown’s tree, because they are so small. Don’t get me wrong, they are not scrawny at all. On the contrary, they are beautiful live trees. I think they are popular here because many French apartments are quite small, so a big tree would not fit. 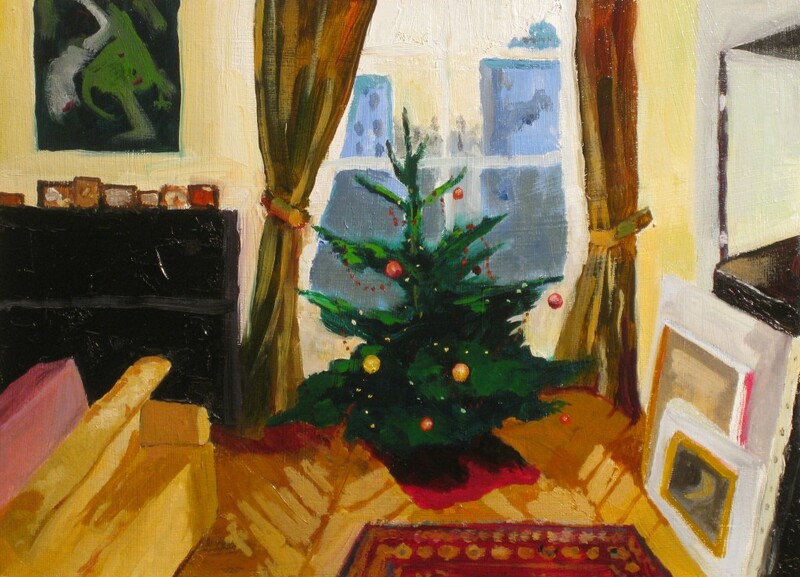 The painting at the top of this post is our tree this year in our apartment. So, when I see these small trees on the street, and through apartment windows, I think of Charlie Brown, and his Christmas Special. Sponsored by Hallmark, you can’t get any more sentimental than that. 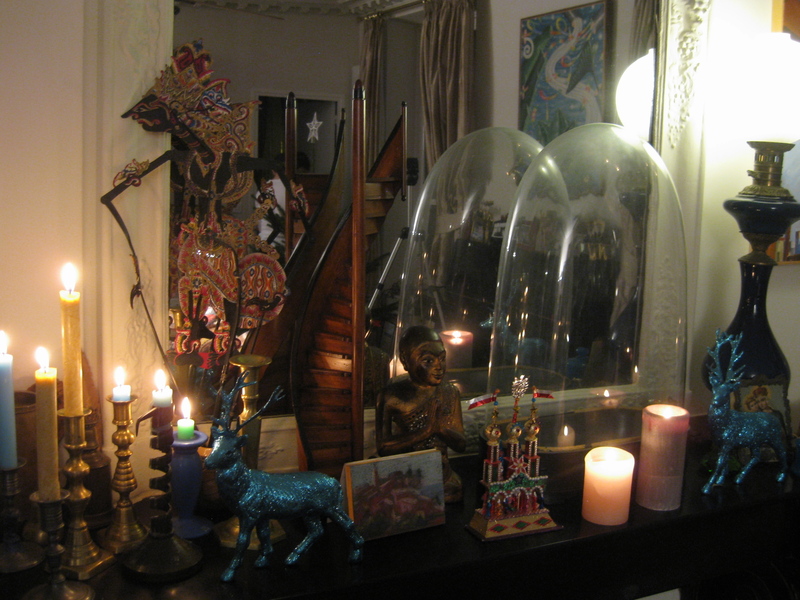 Some Christmas decorations, among other things, on our mantlepiece. Happy Holidays, Merry Chrismas and Happy New Year! Merry Christmas and a joyous New Year to all of you! I thoroughly enjoyed what you wrote, Phil – and your beautiful painting! Dear Kate, Thank you! Merry Christmas and Happy New Year to you and your family.